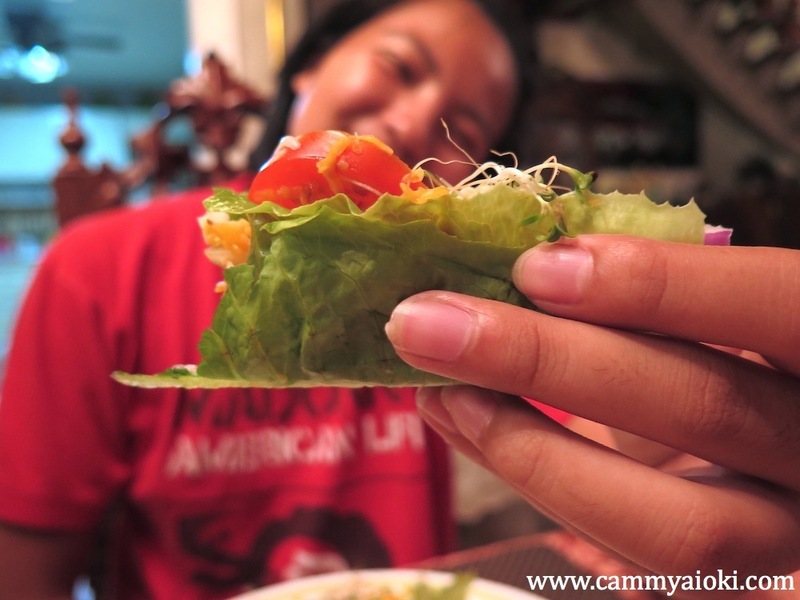 Everyone loves Tacos! 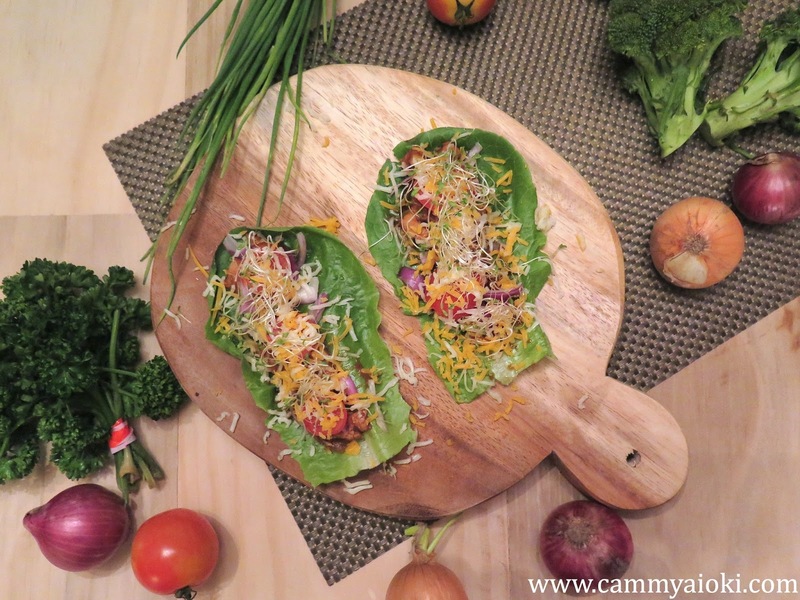 It's easy to eat and easy to make! 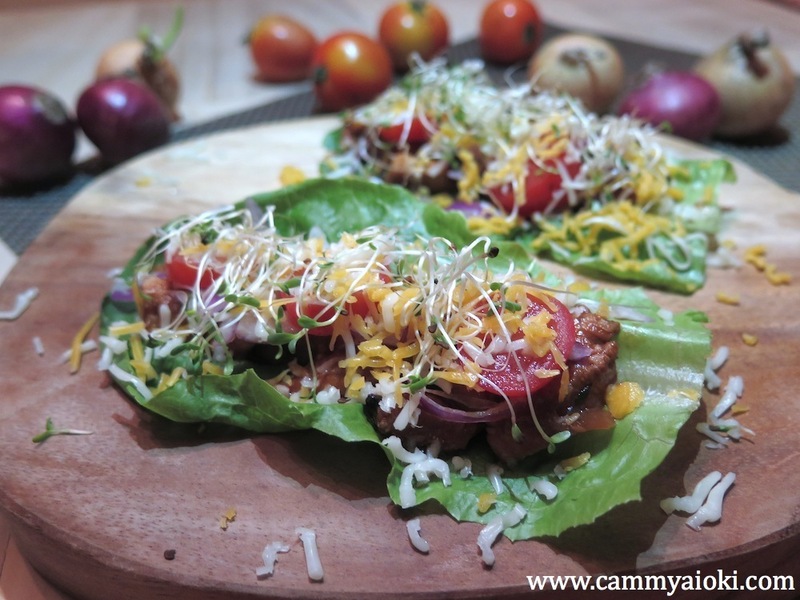 Try out this lighter version where I used lettuce leaves instead of Taco shells. Enjoy! Omnomnomnom! 1. Heat oil in a pan over medium heat. 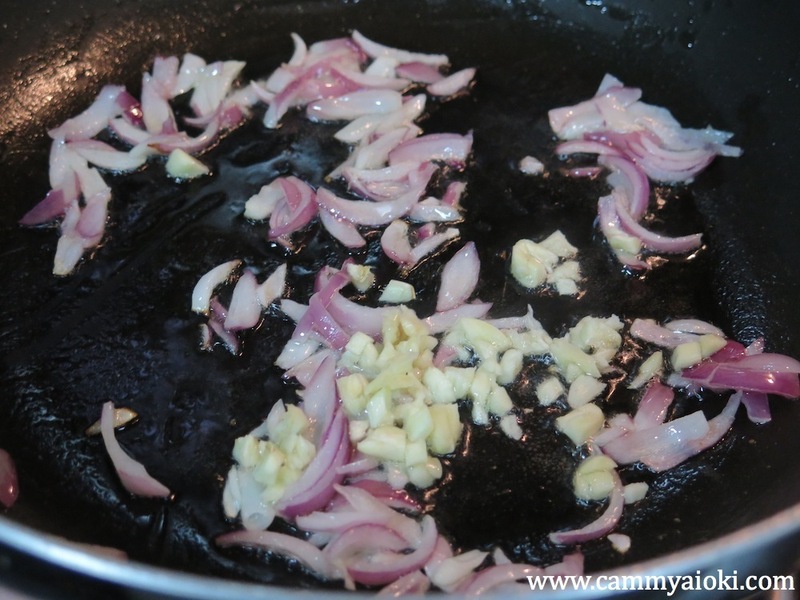 Sauté onion for until soft then add in the garlic. Sauté for another minute. 2. 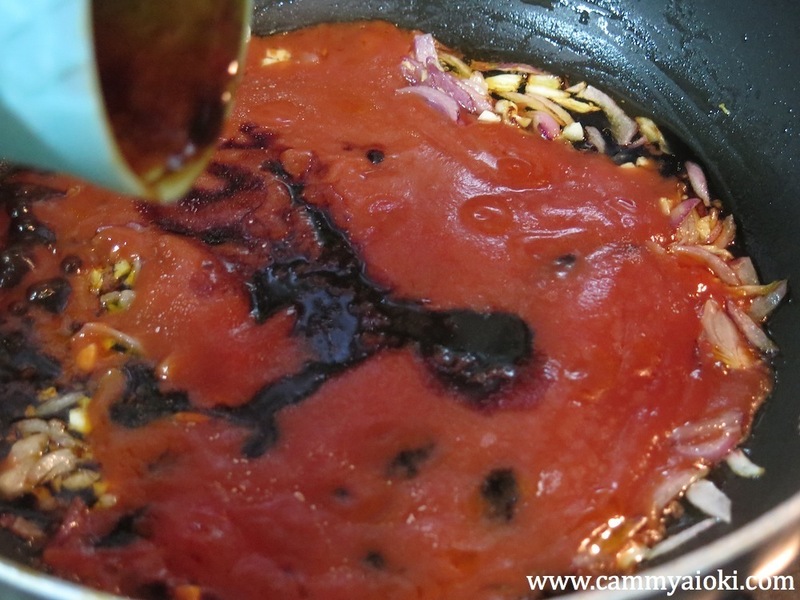 Add in the tomato sauce and soy sauce. Mix well. 3. 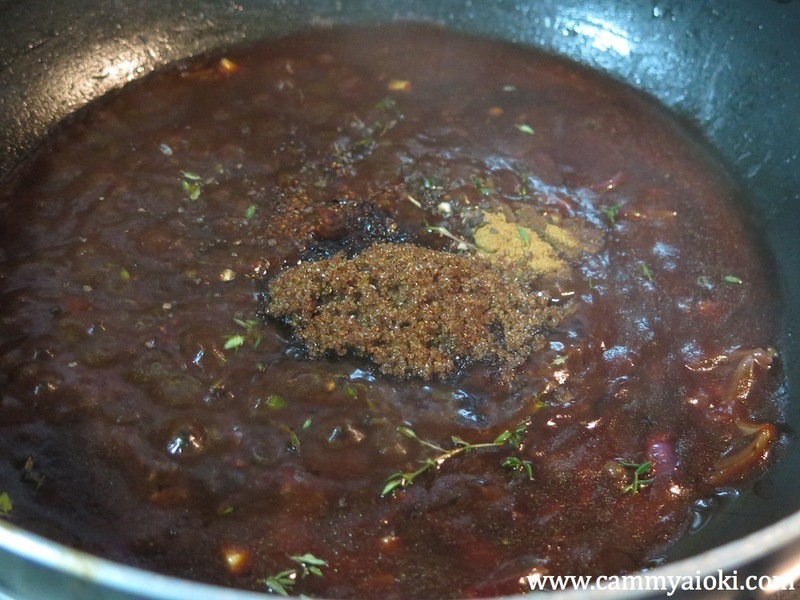 Let the sauce simmer for about a minute then add in the brown sugar, thyme leaves, cumin, lemon juice, and pepper. Let it simmer for another 3 minutes while mixing occasionally. Turn off heat and set aside to cool for about 15 minutes. Do not remove the marinade from the pan. 4. 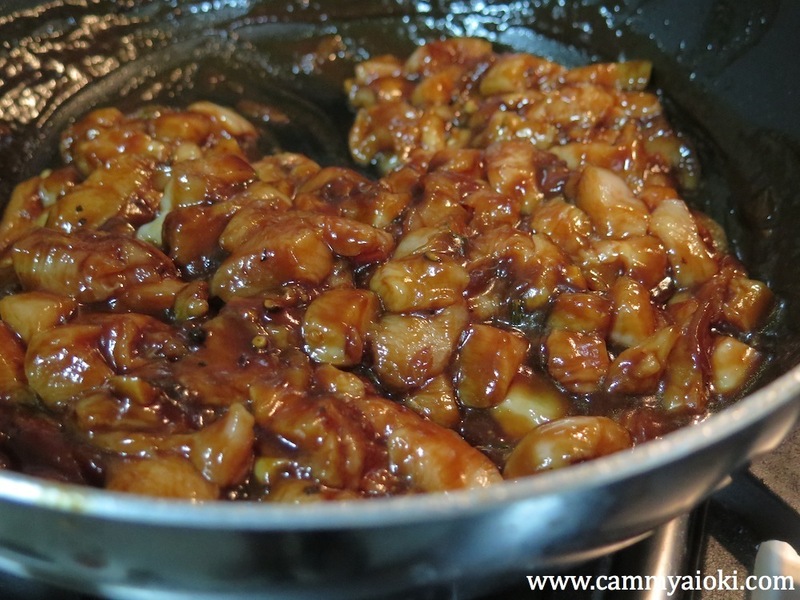 Once the marinade is cooler, add in the chicken and coat each chunk with the marinade. Set aside for another 15 minutes to let the flavours infuse. 5. 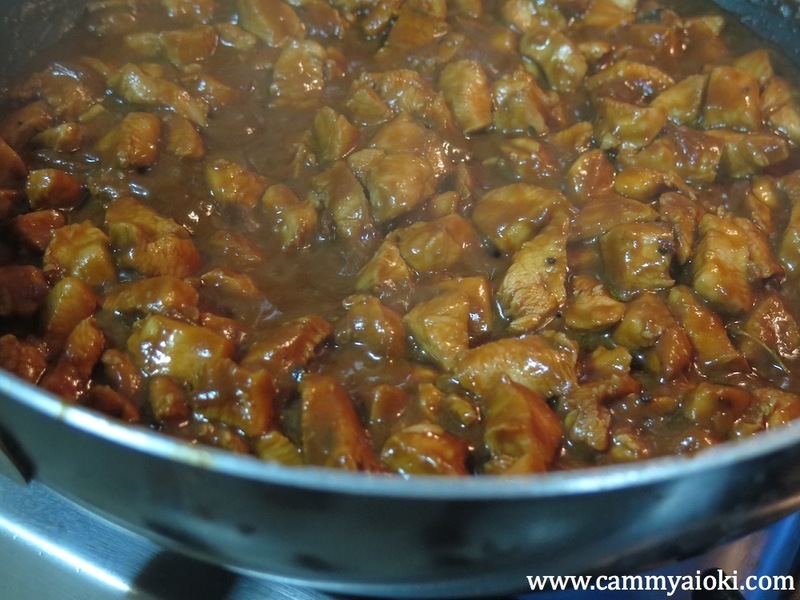 Turn on the heat and cook the chicken until tender. Let it simmer for about 3-5 minutes. 6. Now, you're ready to plate. 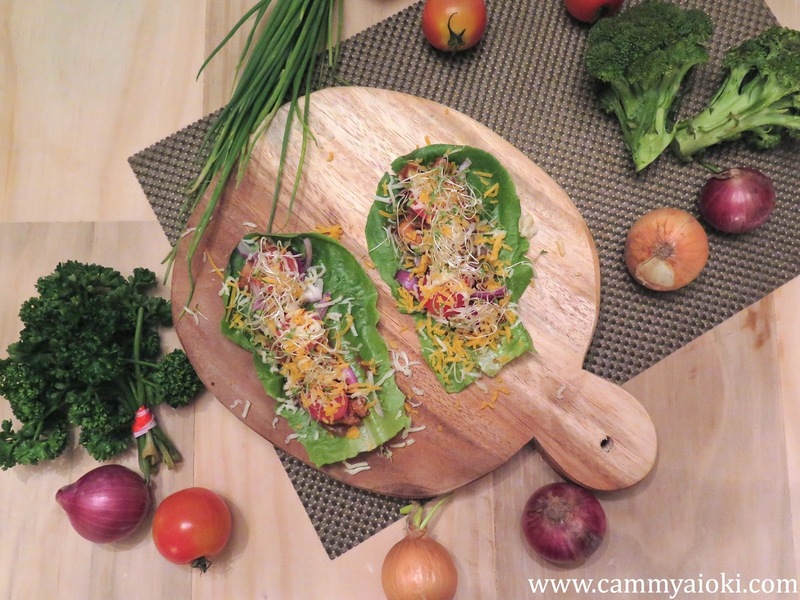 Use the lettuce leaves as your base (you can use 2 leaves, on top of each other, to have a stronger base), top off with chicken, onion, tomatoes, cheese, and alfalfa. B. 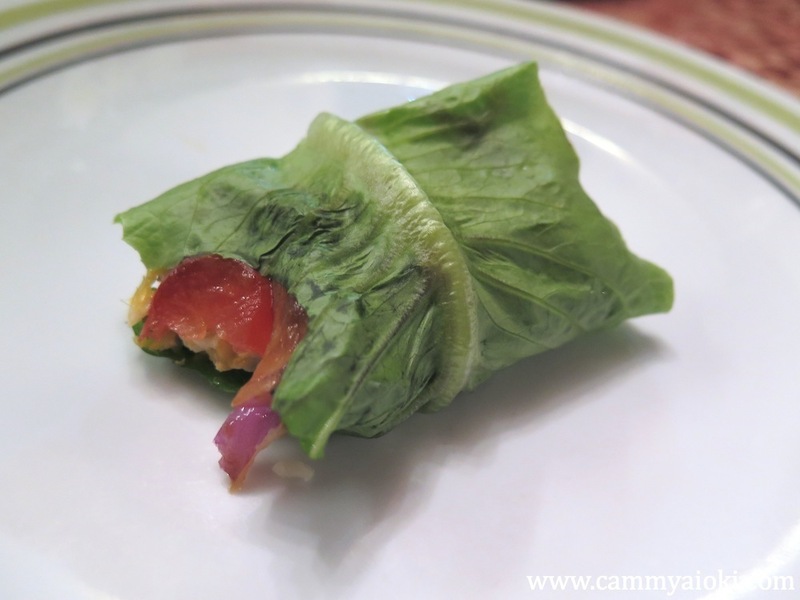 Fold it in the middle.